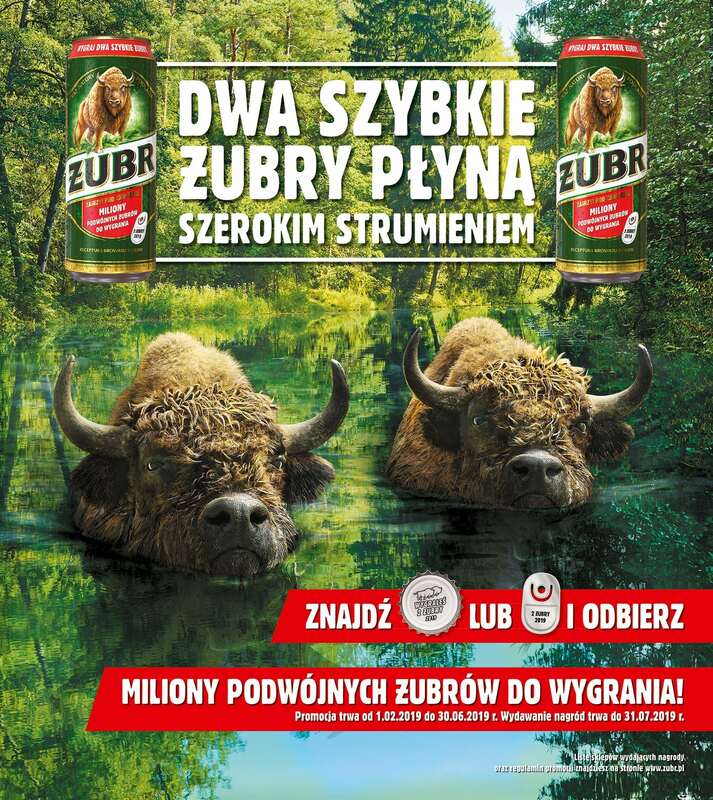 The beginning of February marked the launch of the fourth edition of Poles favourite consumer campaign “Two Quick Żubrs” (Dwa Szybkie Żubry). The brand returns not only with millions of double prizes, but also with a new TV spot. This year, the Żubrs will be in full flow, in order to emphasize the beginning of yet another beer season. 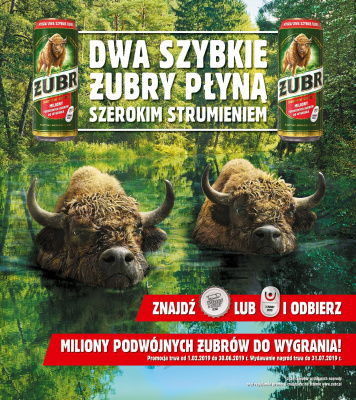 Żubr has been continuously rewarding the consumers for the loyalty to their favourite beer brand since 2016. This year’s edition of the “Two Quick Żubrs” lottery brings another chance to win two free beers. The campaign mechanics have not changed since the very beginning, thus the whole process remains simple and appealing for the consumers. “The lucky finders of winning caps and pull-tabs can immediately enjoy their victory, by exchanging them into two beers in shops across Poland. The fourth edition of the campaign is accompanied by a new story featuring the King of the Forest, as usual summed up with a clever word game. The stream presented in the spot reflects the flow of a million beers possible to win within the frame of the lottery” – says Łukasz Kling, Żubr Brand Manager. The new advertising spot presents a spring version of the forest, full of beautiful greenery. That way, the brand says goodbye to freezing winter and enters a new beer season. Initially, the spot was published on the brand’s Facebook channel, but now it can be seen also on TV and VOD. The latest TV campaign was prepared by: PZL agency, OTO Film production house and Platige Image. Online, social media and PR activities are the responsibility of Tailor Made PR and Huta 19, while the promo packaging was designed by PRISM Studio. Media planning and purchase was taken care of by the Zenith media house.